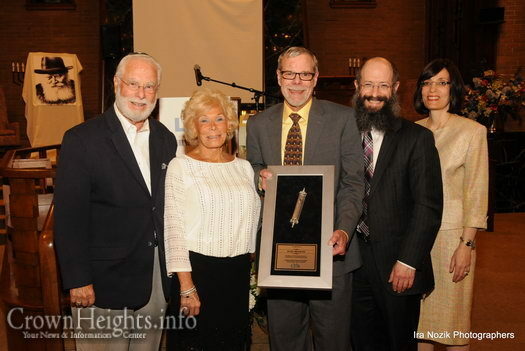 “LYA provides a sense of community while instilling self-respect and respect for others”, remarked Carol Engelson, one of the honorees at the recent Lubavitcher Yeshiva Academy (LYA) Scholarship Reception “Generations of Goodness” in Longmeadow, MA. 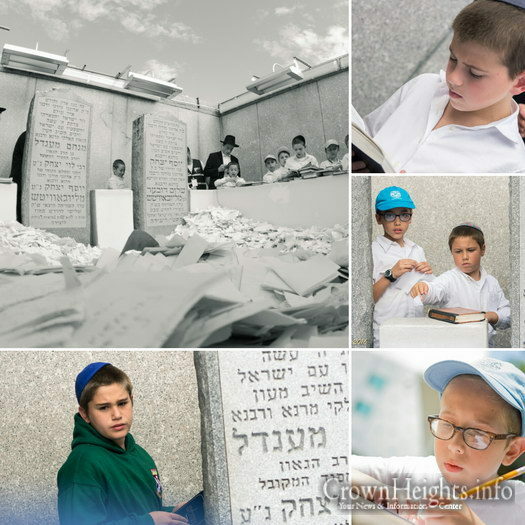 Campers and staff in Gan Israel Parksville, New York visited the Ohel on Sunday. They spent the morning in preparation for the trip, writing Panim and davening. They may live a world apart from you, but just 3 hours away. Poor Jews. Some live in a trailer park. They think they can’t afford to be Jewish. They so badly want to be at a seder. I wish you could meet them, they are real Baal Shem Tov’s Yidin. So wholesome and Sincere. Can you help them? We’d like to host them, but we can’t do it ourselves. The local Jewish Community does not care and is not able to help. So we turn to you. Because you do understand, and you do care. Can you give $36? Even as little $6 can help. Of course you can. I hope you do. Please click here to help. 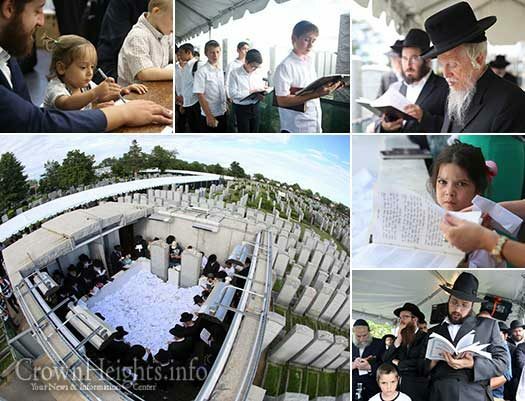 The campers and staff of Gan Yisroel-New York spent the early hours of the day Sunday on their respective preparations in anticipation of a trip to the Ohel in honor of Gimmel Tamuz. Scene from the Crown Heights riots. Inset: Rabbi Avraham Lapine with his wife and son. 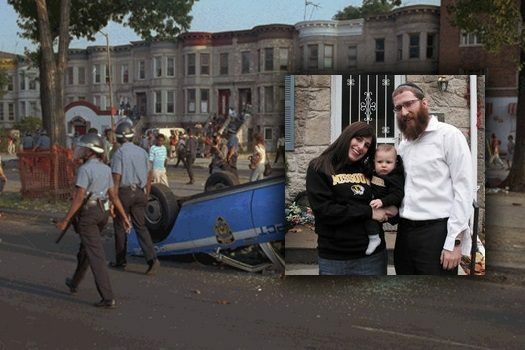 Rabbi Avraham Lapine, director of Chabad at the University of Missouri, who lost his mother at the age of five to a brutal murderer who broke into their home, wrote the following op-ed about healing the racial divide engulfing the United States, which was printed in The Columbia Daily Tribune. Are you still looking to get away for Pesach? in the scenic Hudson Valley for Pesach. Adjacent to Chabad House, minyan and mikvah on premises. Minutes away from the famous “Walkway Over the Hudson”. Lots of activities to do during Chol Hamoed. Food option available as well. Strictly kosher non gebrokts with all hiddurim. For more information or to book please call (917) 468-6128 or email chabadmidhudsonvly@prodigy.net. Rabbi Mendel Fogelman of Chabad of Central Massachusetts at the home of Mrs. Michelson in 2015. The oldest American person has died at her Massachusetts home at age 113. 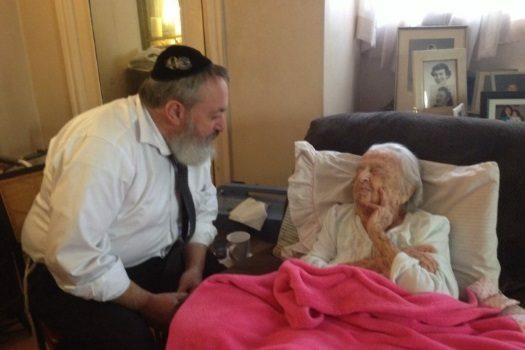 Goldie Michelson was a month short of her 114th birthday. 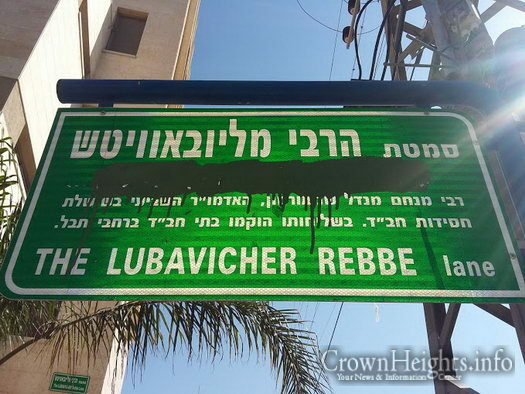 A shocking and shameful incident has shaken up the Chabad community in Be’er Sheva, Israel: A sign bearing the name of a street named after the Lubavitcher Rebbe, OBM, was vandalized by unknown perpetrators. 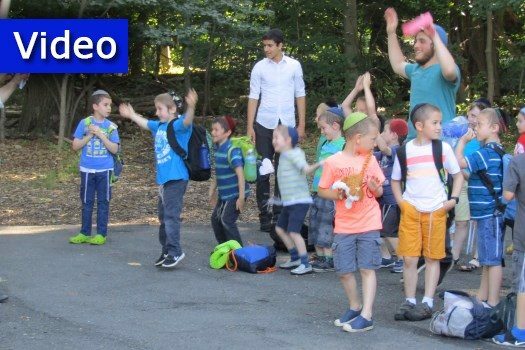 Lubavitch Day Camp of Monsey completed its first exciting, fun and meaningful week of the summer. See the highlights of the week in this video slideshow. 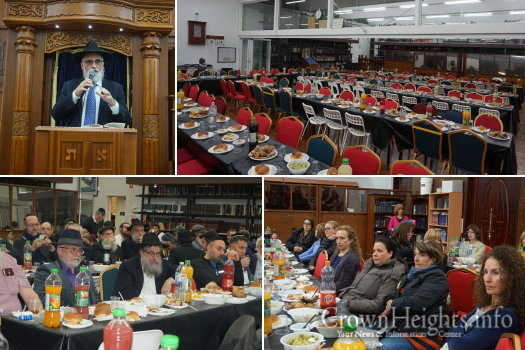 A Gimmel Tammuz Farbrengen, likely the first in the world for 5776, was held Thursday night in Sydney, Australia, at the Yeshiva Centre – Chabad NSW HQ. Israeli and American families of victims of Palestinian attacks filed a $1 billion lawsuit against Facebook, claiming the social network is providing a platform for militants to spread incitement and violence, their lawyers said Monday. 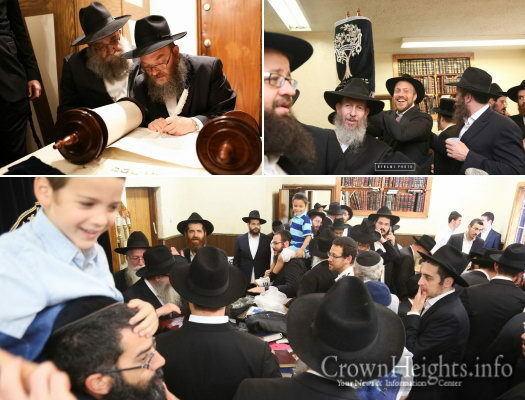 A Hachnosas Sefer Torah was held in 770 yesterday, Sunday, after Mincha, dedicated by the Beis Yisroel Torah Gemach in conjunction with Rabbi Yossi Schildkraut of San Paulo, Brazil, and all the Shluchim who came for Gimmel Tammuz. 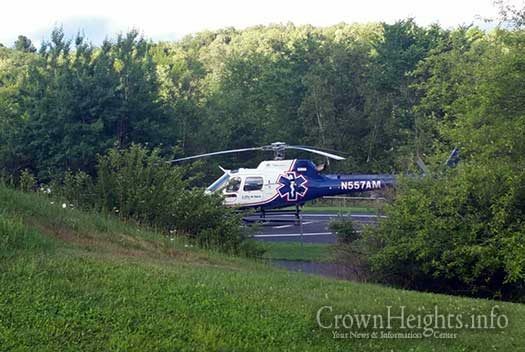 A 4-year-old child has tragically passed away early Monday morning after drowning in a pool in Upstate New York. The boy, Shimon ben Leah Malka Esther Weiss, OBM, and his family were guests in the KMS bungalow colony in Swan Lake, New York. Levaya info in the extended article. 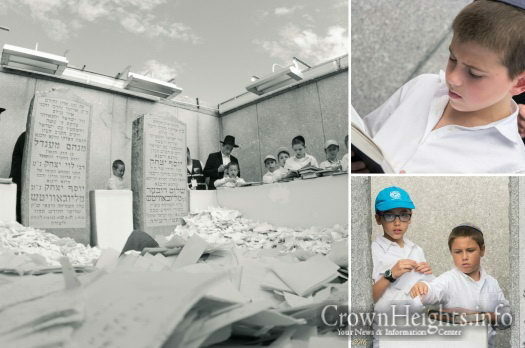 On Sunday, thousands more came to pray at the Lubavitcher Rebbe’s Ohel in Queens, in honor of Gimmel Tammuz. 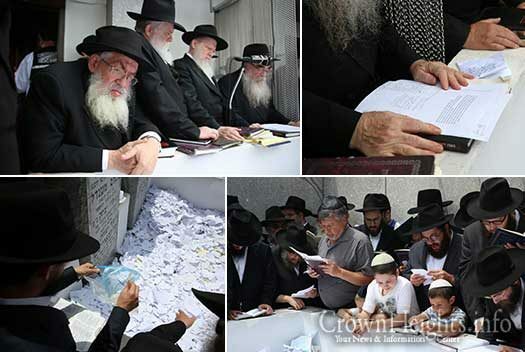 On Sunday afternoon, the day after Gimmel Tammuz, the Pan Kloli which was signed by many Chassidim, was read at the Ohel. Op-Ed: "Measles is Just a Rash, They said"